Happy July 4th! 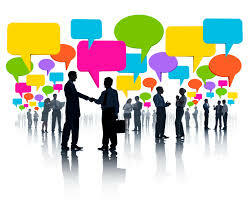 Summertime brings lot of chances to get business networking results. With parties, events and summer games there are many conversations to have. This leads me to think about how much business chit-chat is too much? How do you network to be get results. How do you make yourself memorable? The answer is easy. Anything that feels like work is work and should be limited in networking opportunities. Networking conversations should be easy, breezy and fun. The key ingredient when discussing networking is value. To find your sweet spot when networking think value. What is a good conversation worth to you? The best way to network is to share a laugh or a thought or an unusual fact. When you network with these goals in mind, you will be professional, appropriate, relevant and most importantly memorable. Who doesn’t want to be memorable? Memorable gets results. Learn what others are engaged in, how they got where they got and what makes them tick. When you network from the perspective of learning, you take the emphasis away from yourself. This not only opens you up to see the world in another light, it’s is much more enjoyable for the random people you pony up to. Don’t be so serious, have some fun. Get out of your head and see what insights you can apply to your situation by listening to others. Show up interested. Especially in business conversations people can tell when you are genuinely interested. Get results by networking with those you value. It seems that people tend to network when they need something. The time to network, is when you have something to give. A funny story, a joke, an insight, a helping hand. Think about it as part of your pro Bono arm. I can’t explain how it works, but those that give the most, get the most back! With over 30 years in C-suites, and many July 4th Work picnics, I know how to annoy. That’s why I speak on building powerful engaged teams and managing annoying people who steal your energy and time, even though they are competent. I help managers drive their agendas and bring joy back to the workplace. Network with a funny story or a unique fact and be memorable!